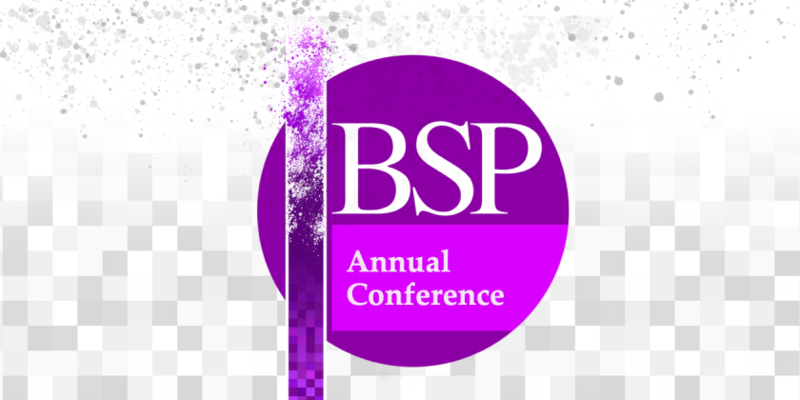 The BSP is now inviting papers for our 2019 Annual Conference in Manchester – the Theory and Practice of Phenomenology. CfP deadline: Friday 31 May 2019 (midnight BST). Location and dates: Manchester, UK. 5-7 September 2019. Keith Crome, Principal Lecturer in Philosophy, and Education Lead for the Department of History, Politics and Philosophy, Manchester Metropolitan University. Linda Finlay, Integrative Psychotherapist, freelance Academic Consultant (Open University), and Editor of the European Journal for Qualitative Research in Psychotherapy. Dylan Trigg, FWF Lise Meitner Senior Fellow in the Department of Philosophy, University of Vienna. The BSP Annual Conference is a longstanding and respected feature of the UK academic scene, providing a friendly and supportive forum for inter-disciplinary discussion. We actively seek to explore the interface between the theory and history of phenomenology and its practice by academics and professionals of many fields. We would welcome contributions from these categories and others, across multiple perspectives, from practitioners and philosophers, including both the European / Continental and Anglo-American / Analytic traditions. We also welcome submissions from postgraduate researchers, who will be considered in a separate student panel. We are an open and welcoming society, and our aim is to create a convivial, inclusive environment for audience engagement with phenomenology by philosophers and practitioners. So abstracts and papers should be composed with accessibility in mind. Each year – in addition to our keynote presentations – we seek to provide a space for 25-30 speakers in a single track. Papers should be 20 minutes long, and there will be 10 minutes for questions for each speaker. Abstracts should be a maximum of 300 words, and you should also provide a short biography of no more than 100 words. To submit, please go to the Abstract Submission System. The deadline for the submission of abstracts Friday 31 May 2019 (midnight BST). Proposals will be blind peer reviewed by members of the BSP executive committee. Each year, we receive more proposals of quality than for which we are able to provide space. From the shortlist, the review team selects what they believe to be the best of these for presentation during the event, with an eye to the aims and objectives of the conference and the society. We intend to inform participants if they have been successful on or around Monday 17 June. Due to the quantity of submissions, we do not supply individual feedback on those which are unsuccessful. You can find more information about the conference, including keynote profiles, venue, and registration, on the BSP 2019 Annual Conference website.